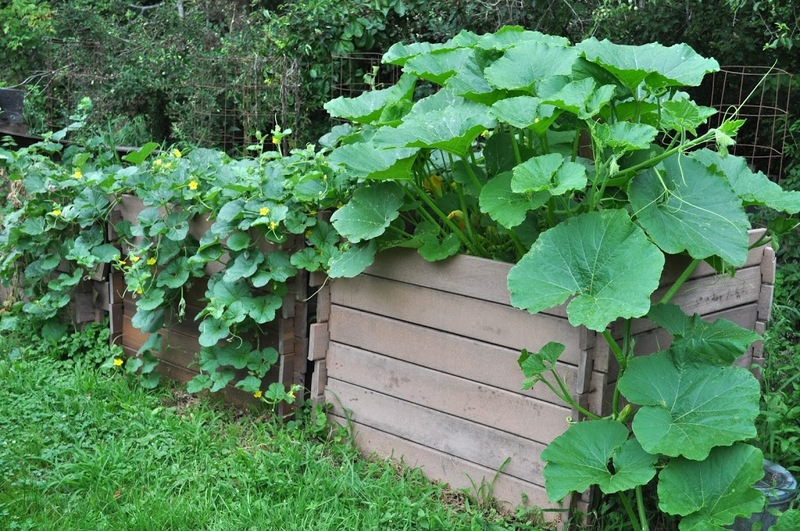 The compost bins — 4 foot by four foot by 3 to 4 foot high cubes — are perfect for these vines. 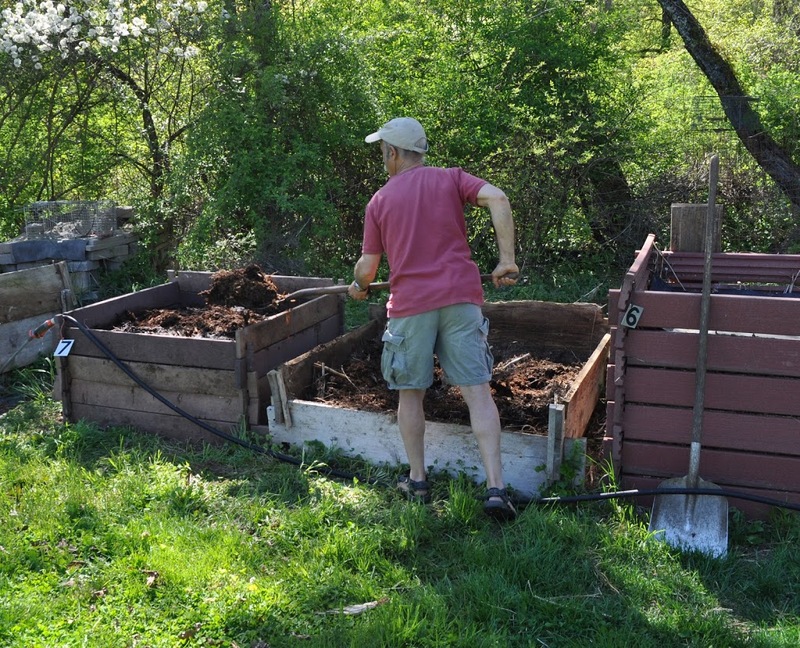 Three or 4 plants poked into the rich compost through holes made in the rubber roofing can sprawl to their hearts’ content, spreading out to cover the tops of the bins and then, if they like, draping down to the ground, even creeping along the ground if that’s their whim. This entry was posted in Uncategorized and tagged compost, melons, squash. Bookmark the permalink. Trackbacks are closed, but you can post a comment.